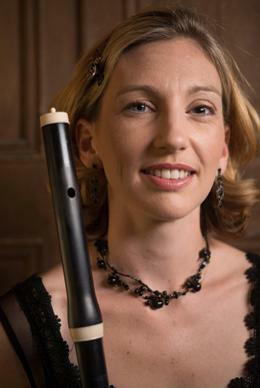 Melissa is in demand on the Australian early music scene as a period flautist and recorder player. She has been Principal flute of Australian Brandenburg Orchestra since 2003 and is featured on their cd 'Vivaldi- Nisi Dominus and Stabat Mater' with Andreas Scholl. She has also recorded 5 operas and the successful ‘Bach Arias and Duets’ disc with Orchestra of the Antipodes as Principal flute and recorder. She has featured on several cds with Sinfonia Australis, played with the Australian Chamber Orchestra , Sydney Philharmonia , Ironwood and Luduvico’s Band. In 2012 she was awarded an Australia Council grant for ‘Skills and Arts Development’ which helped support a tour to Europe to research playing techniques of baroque to romantic flutes.With Lamorna Nightingale she co-formed Salonnieres , bringing Romantic music for flutes to life on period flutes. Melissa is a core member of the period classical ensemble the Australian Haydn Ensemble, performing Benda’s e minor Flute Concerto in August this year .